I've been teaching myself how to sew with vinyl, which is not the easiest thing in the world. For some reason, I thought it would be a snap...but instead I've had to scour the web for tips on how to make my machine quit sticking to the fabric. The best trick I've found is to cover the piece -- front and back -- in tissue paper and sew right throught it. It keeps the feeddogs and the foot from sticking, and can just be torn right off once the stitching is finished. I (finally) managed to finish something that looks pretty cute (it's not absolutely perfect but at least it isn't crooked and full of holes like my first attempt). V. cute! I heard a teflon foot helps, although I've never used one. Thanks, Kate! I'm telling ya -- the tissue paper made it breezy-easy . The thought of sewing vinyl is terrifying - tales of broken needles and vinyl that gets eaten ... but it looks like your research has paid off. 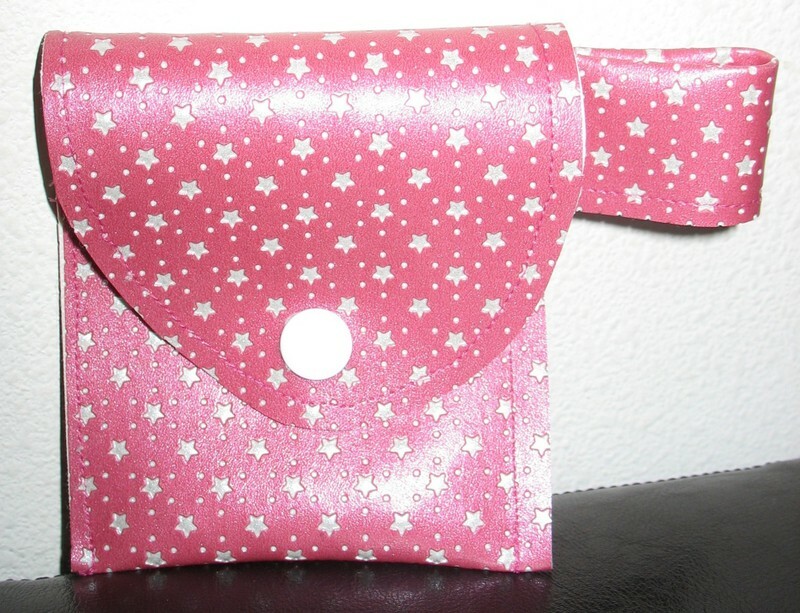 Your purse is really cute, and nicely finished! Congrats!